Super Lightweight title contender Eldar Eldarov will look to become the first Bahraini fighter to win a world championship when he meets Mounir Lazzez, from Tunisia, in the co-main event of Brave 23: Pride and Honor, which takes place in Amman, Jordan, this Friday, April 19th. 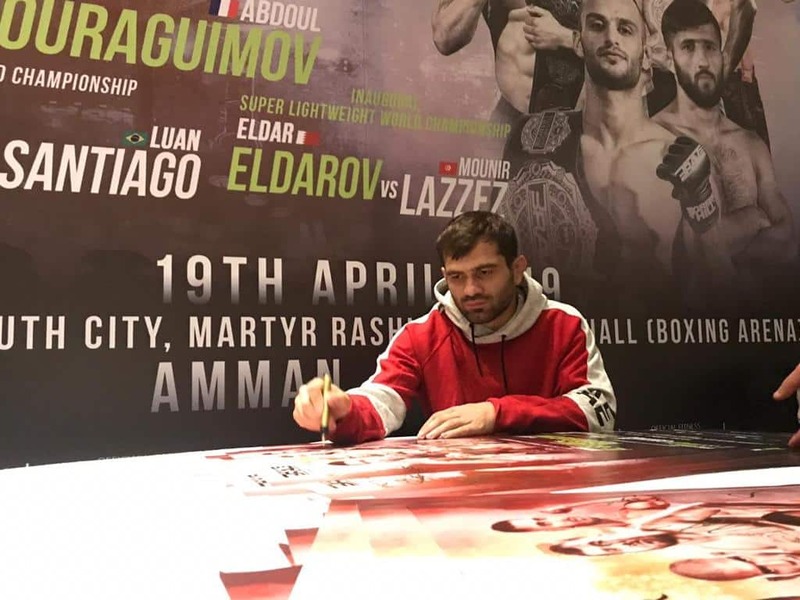 For Eldarov, the chance to make history also by becoming the first-ever world champion in the newly-formed weight division is too good to let it slide. He claims that losing is “not an option” and that someone will tap out “and it’s not going to be me”. “This is the biggest fight of my career. I won’t fight for myself. I’ll fight for my family, for my team, and for my people. Losing is not an option for me. I know someone will tap out and it’s not going to be me”, guarantees Eldar, who will look to increase even more his fanbase with the win over Lazzez. “I know that people support Mounir a lot, he has a good fanbase. His fans have come to my social media profiles after our fight was announced. That’s good. Usually, when you beat someone with a big fanbase, they become your fans, so this is my point (laughs)”. Brave 23: Pride and Honor will be broadcast by Abu Dhabi Sports. The historic event will feature three title fights. Aside from Eldarov x Lazzez, Welterweight champion Jarrah Al-Selawe will defend his title against undefeated contender Abdoul Abdouraguimov, while Lightweight titleholder Abdul-Kareem Al-Selwady will look to maintain his crown against striker Luan Santiago. Also set for Brave 23 is the return to MMA competition of Jordanian combat sports hero Hashem Arkhagha, who takes on South-African slugger Jeremy Smith. Meanwhile, American superstar Jose Torres makes his promotional debut against Sweden’s Amir Albazi in what promises to be a legendary evening for the sport.